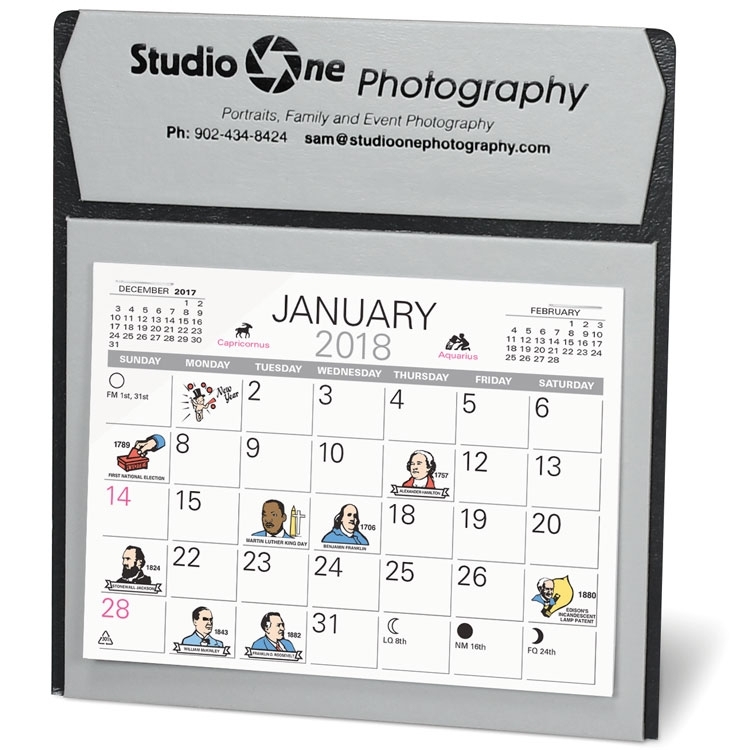 Desk calendar with unique vertical easel design that requires little desk space. Mailing envelopes are included. Not inserted. 5 1/8" x 5 3/4"
IMPRINT AREA: Price includes a one color imprint in a 4 1/4”w x 1 1/4”h area.